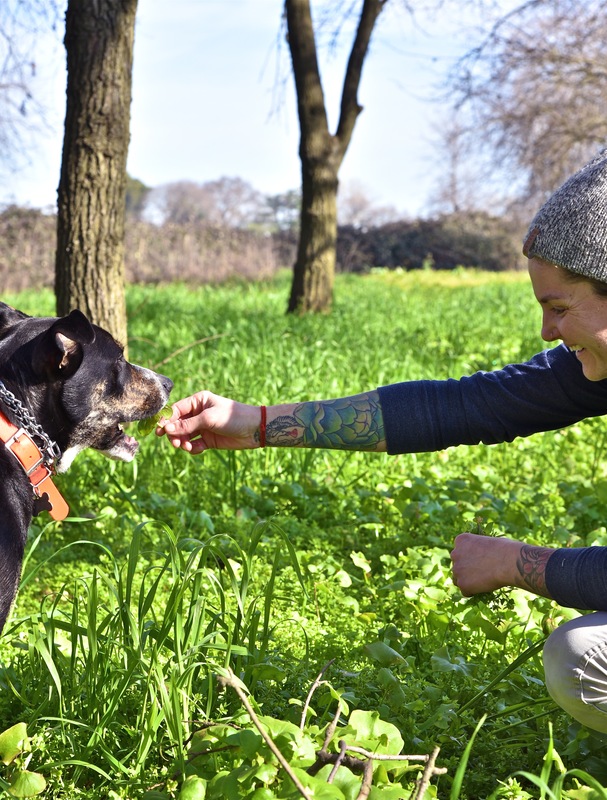 The Kitchen’s Chef de Cuisine Allyson Harvie heads out to West Sacramento’s Watanabe Farms each workday morning with her dog Oliver. There they forage for whatever lovely edible flowers she can find to use as garnish for the dishes on the current menu. Right now it is March. 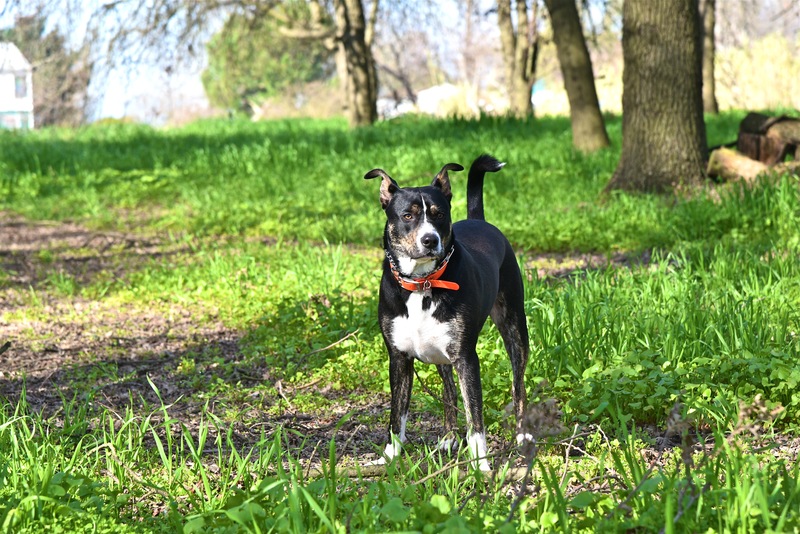 Though it’s still chilly, she can feel spring coming, and she sees it in the colors rising from the earth at one of her favorite farms. Our friend Heidi Watanabe has let Harvie know she is welcome to come and forage on her property anytime. 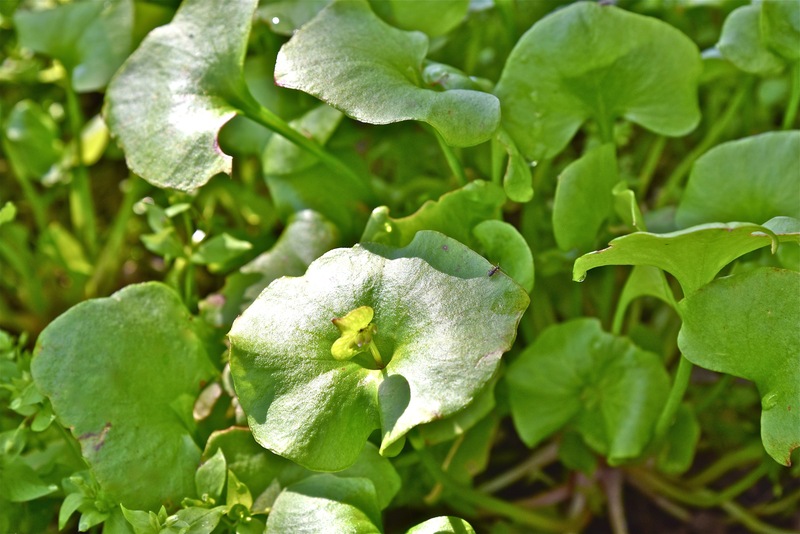 As she surveys the ground and Oliver plays, she sees miner’s lettuce and chickweed to top the guinea hen dish, radish and arugula flowers to accent the beef, and pea shoots for the ricotta gnocchi. Later that day she visits Suzanne Peabody Ashworth at Del Rio Botanical, also in West Sacramento. We have been getting organic produce from Del Rio Botanical for many years, and they grow an amazingly large variety of fruits and vegetables. Here Harvie walks the property with Suzanne to see what extra goodies may be in season to add an extra flourish to the plate. For the March Menu, she gets stinging nettles for the guinea hen, purple borage flowers, calendula, alyssum and wild mustard flowers. The options are ever-changing. Harvie loves to bring these extra touches into the restaurant to help make the vibrant flavors and colors of the spring dishes really pop. 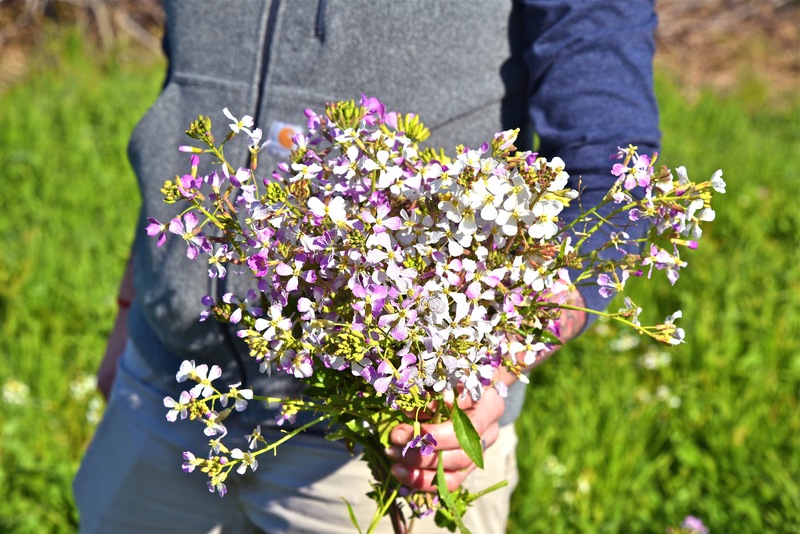 She feels they add a personal touch to the menus, and finds that foraging and visiting the farmers on their land strengthens relationships and allows her as a chef to stay connected to the land and to where the food comes from. She and Executive Chef Kelly McCown share this philosophy and vision. 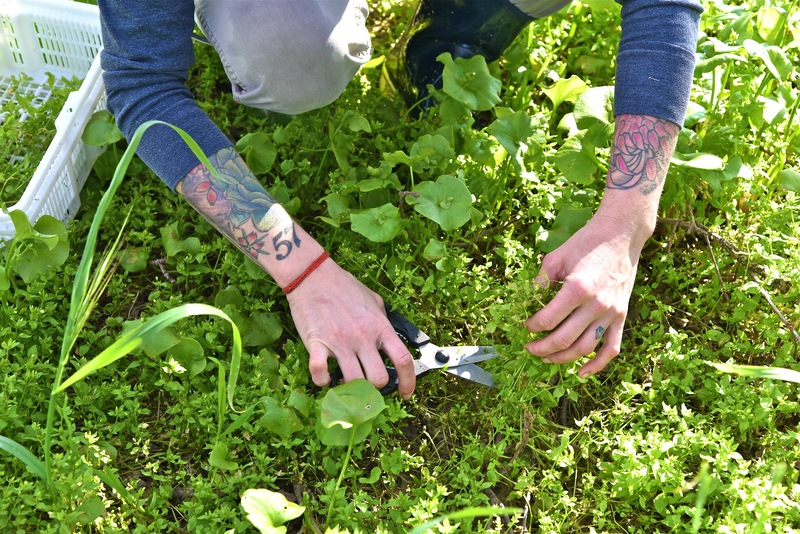 McCown has long been an advocate of foraging, and has often brought his own foraged touches to his dishes at The Kitchen, and historically at his restaurants in Napa and Seattle as well. By personally seeing what the land and farms have to offer and staying in tune with what’s in season, the chefs are able to bring their stories, and the farmers’ stories, back to the guest. In this way, Harvie emphasizes, they are really living the “farm to fork” ethos; it’s not just a slogan. Soon, Harvie says, we will be seeing some delicious morel mushrooms popping up, and we are sure to see them on our April or May menus. You can hear in her voice how excited she is for that. And as for what other delights she’ll find at Watanabe Farms, Del Rio Botanical, and other foraging hot spots, you’ll just have to ask Allyson when you visit us soon. Oliver is sworn to secrecy! AAA Five Diamond Award - Lucky #7!